Steve Jobs threatened a "thermonuclear war" to destroy the Android platform, which he considered a "stolen product". Yet, in an ironic turn of events, the Steve P. Jobs Trust managed by his wife could make money from the sale of each Android flavored Motorola DROID branded phone. How did this happen? When Steve Jobs helped arrange the sale of Pixar to the Walt Disney Company on January 24th 2006, the $7.4 billion deal was an all-stock transaction. Jobs' Pixar holdings were converted into Disney shares, leaving him with 7.7% ownership of the Burbank company. That meant that Steve Jobs was the largest individual shareholder of Disney. After Jobs' death, his shares were transferred to the Steven P. Jobs Trust which is managed by Jobs' wife. The Trust is now the largest individual owner of Disney shares. 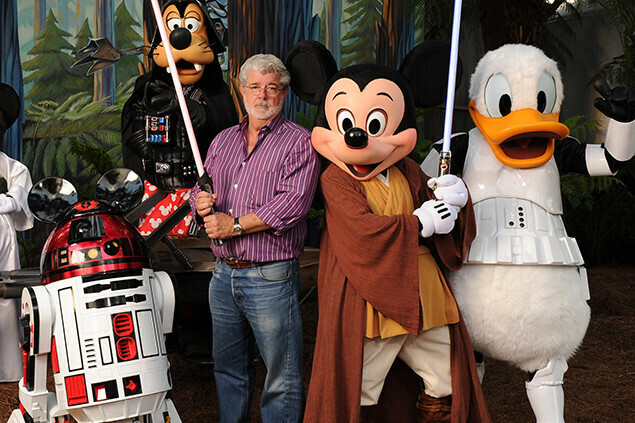 Disney, as you might have heard, has purchased Lucasfilm for $4.05 billion. Back in 2009, George Lucas had made a deal with Verizon for the use of the DROID name. This is why overseas versions of the same Motorola phones do not use the DROID moniker. On most ads or documents related to a Motorola DROID phone, you will see the statement "DROID is a trademark of Lucasfilm Ltd. and its related companies. Used under license." So what does this all mean? It means that Disney will now get the licensing fees and royalties from Verizon for using the DROID name which could result in a higher stock price. And who benefits the most from a higher price for Disney shares? That would be the company's largest shareholder, the Steve P. Jobs Trust. 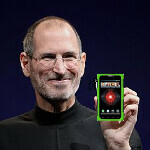 Despite his deep and profound hatred of the platform, sales of Motorola DROID handsets could make Steve Jobs richer. That is irony. Of course, Jobs can't spend a penny of this windfall which is another irony, albeit a sadder one. Haha, Classic. Maybe this will prompt Apple to stop suing Android makers. Or likely not, as Apple cares about making more money for itself rather than some Ex-CEO's trust. If jobs were alive he would write a memoir: "How I wanted to bite the hand that feeds me" :). The miniscule amount he would make from that licensing, especially given the relatively poor sales of Droid-branded devices, is nothing compared to what he made off Pixar. Poor sales, eh? The monthly numbers from the Razr Maxx outselling the iPhone beg to differ. Exactly. The Droid 1, Droid Incredible, Droid X1, RAZR family has been among Verizon hottest sellers. What is he talking about? that a liscensing fee is a lot smaller than huge amount of money he made off Pixar and technically under the same umbrella of the Pixar deal.. As I'm writting I'm starting to realize how much that comment made no sense.. The RAZR's on Verizon are Droid phones. Since the Droid Incredible, Verizon has put Droid in front of names for some phones. Only the Motorola Droid phones with the hard keyboards have Droid as the whole name. Can probably count the Droid X as the whole name being Droid. haha... irony at its best!! maybe android fans of verizon wont buy a droid phones now, coz that awkward moment that you are feeding your enemy! Motorola so far have been targeting its phone for male geek audience. Their branding and phone design show the market they are targeting and trust me don't be surprised to see Motorola losses. They need to make phone for everyone, not the same geeky branding and look all over. Jesus christ, how many degrees of separation is that? You could give Fox News and their attempts to link Obama to Soviet communists a run for their money. Isn't this better and befits a civilsied world order rather than IPHONE Vs IFONE recently? Good, maybe now the term "Droid" will die. It's Android, not Droid. So basically you are feeding apple now if you buy a verizon DROID phone? Hilarious!